DAVID LE/Staff photo. 4/2/15. 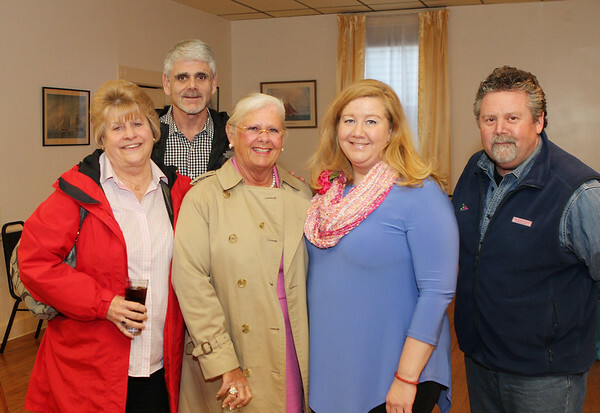 From left, Gail Novack, Gary Novack, Julie Livingston, new Executive Director of the Marblehead Chamber of Commerce Beth Farris, and Leighton O'Connor, at the Marblehead Chamber of Commerce Spring Open House held on Thursday April 2, 2015 at the Chamber offices on Pleasant Street.